A historic ship that still holds the record as the fastest ever to cross the Atlantic has been spared from the scrap heap – at least temporarily. The SS United States, once the world’s most luxurious ocean liner, now lies derelict and rusting moored at a dock in Philadelphia’s Delaware River. 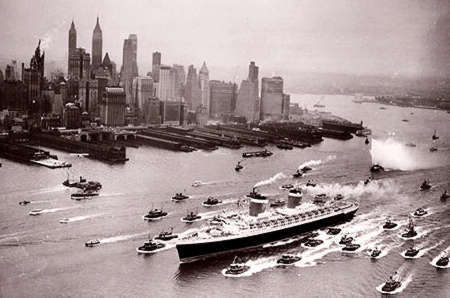 Launched in 1952 after a secret Cold War project to build the world’s fastest ship – dubbed America’s Flagship – it is longer than the Titanic and transported Hollywood stars, royalty as well as four U.S. presidents. 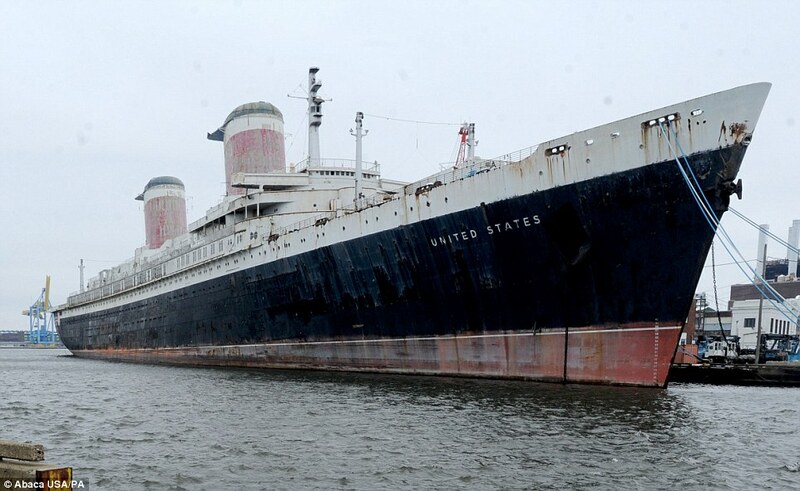 But it was just weeks from being sold for parts last month as The SS United States Conservancy struggled to raise the $60,000 per month to keep their rehabilitation project afloat. 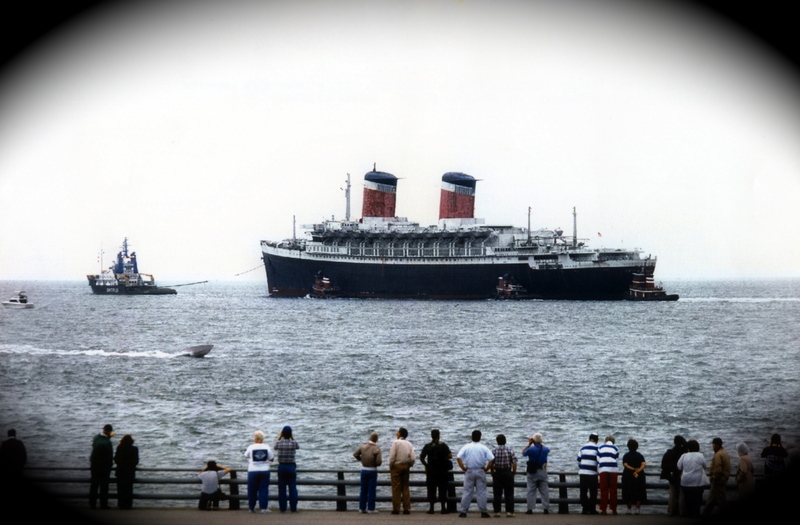 However, on Monday, the Conservancy announced that it had raised more than $600,000 from supporters around the world – enough to keep the ship afloat well into next year.